I got this recipe from a friend. I make these often and take them to many potlucks, office parties, the cottage, picnics, children's lunch and the list goes on. cinnamon could be added to the batter ( about 1 teaspoon or less). Topping: In a small bowl toss together sugar, flour, butter and cinnamon until crumbly; set aside. 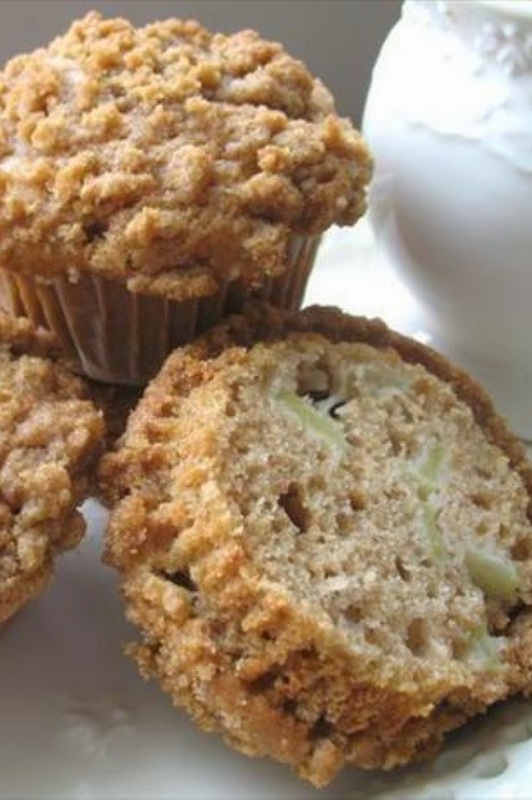 Muffins: In a large bowl whisk together brown sugar, oil, egg and vanilla until smooth.